Discover these wonderful red forest fruits, cherries, raspberries, blackberries and blackcurrant. Discover these wonderful red forest fruits, cherries, raspberries, blackberries and blackcurrant. With no artificial aromas or colourings. Queen's Delight, is inspired by more than 125 years of tradition to offer you these confections with this high quality fruits aromas. 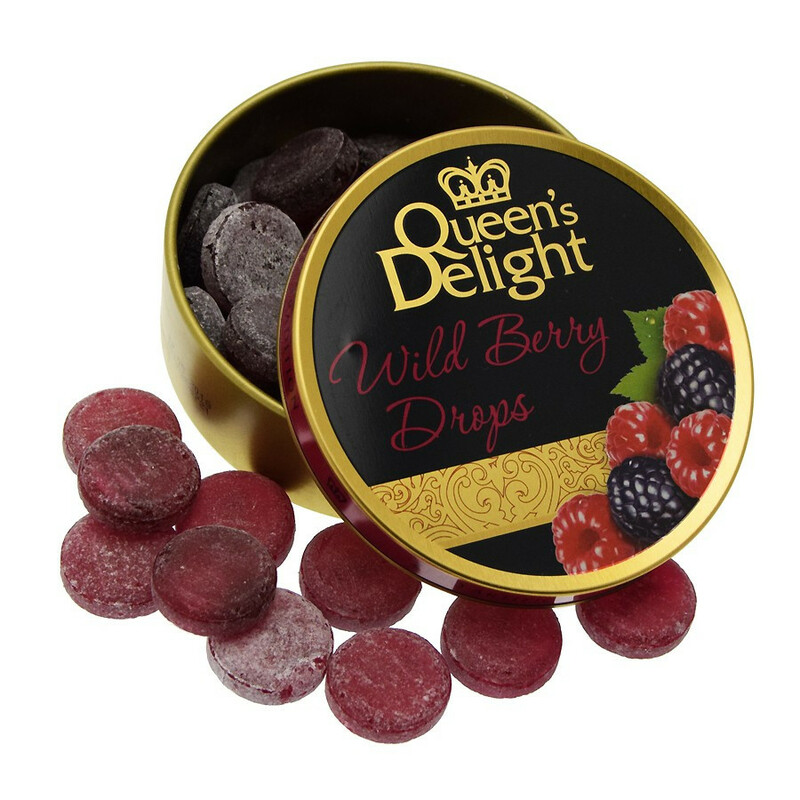 Discover your Queen's Delight candy in their attractive metallic round travel boxes. A pledge of pleasure and flavors, these fruity delights are made without artificial flavors or preservatives. 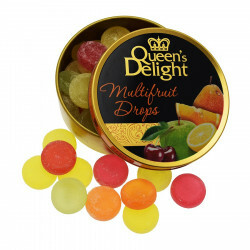 Discover this assortment of candies, fruity and tangy, all with no artificial colour and flavours. Cherry, orange, lemon, pear, apple! 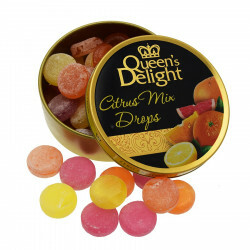 This lovely medal box hides sweets assortments: lemon, orange, grapefruit. 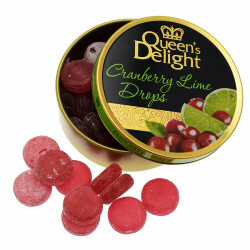 Original, these cranberry and green lemon sweets offers a suprising and lovely taste! Ingredients : Sugar, glucose syrup, acidifier : citric acid, lactic acid, 1% of apple juice concentrate, orange, lime, lemon, blackcurrant, raspberry, blackberry, sour cherry, natural flavour, colouring grape concentrate. *Correspond at 5.8% fruit juice. Allergens: may contain traces of milk.